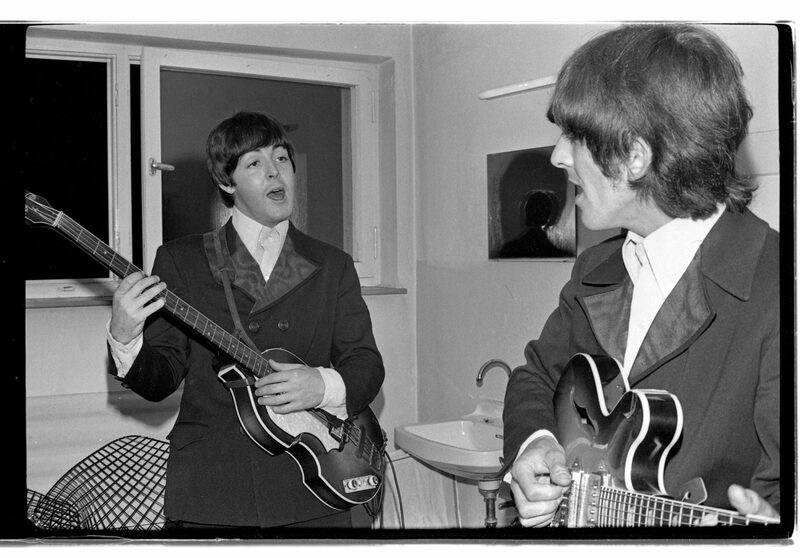 In addition to the video and animation seen during the concert, Revolution also features pre-concert and intermission video showcasing even more of the rare and previously unseen photos from the historic archives of The Beatles Book Monthly, whose photographer was granted unparalleled, behind-the-scenes access to the Fab Four’s concerts, tours and legendary Abbey Road recording sessions. At select events, the limited concert edition of Looking Through You: Rare & Unseen Photographs from The Beatles Book Archive (a visual showcase of The Beatles told through 300 Beatles Book Monthly images and published by Omnibus Press) will be available for purchase, along with other official Beatles merchandise and limited print photos. Revolution is a co-production of Schirmer Theatrical, LLC, and Greenberg Artists. The production comes with all orchestral arrangements, six musicians and two technical crew (video and sound). Technical rider upon request. All music under license from Sony/ATV Music Publishing LLC and Harrisongs LTD. All photos under license from The Beatles Book Photo Library. The show is not endorsed by or connected to Apple Corps or The Beatles. A portion of the proceeds from productions of Revolution: The Music of The Beatles. A Symphonic Experience will be donated to the Penny Lane Development Trust (PLDT), a charitable community centre located in Liverpool, UK, that provides an engaging environment where people can expand and explore their interests. Opened in 2010, “Penny Lane is not just any lane” with this Trust. PLDT offers Youth and Community Projects, each with their own aim, in addition to classes ranging from Pilates to creative writing. Youth projects are for young adults, ages 11-25, ranging from theatre and music productions to workshops in drug and alcohol awareness. Community projects create social opportunities for the local community through activities from armchair yoga to tai chi. The centre also serves as a destination for Beatles-enthused visitors, featuring a “Penny Lane Gate” influenced by George Harrison, a “Wonderwall,” a “Sign Wall,” “Octopus Garden” and more. Since opening its doors to the community, the Trust has had an excess of 60,000 international visitors and provided services to over 20,000 local community members. The trust hopes to develop the site and gain heritage status, as in addition to the site being made famous by the Beatles, it was also the home ground to Liverpool Boys FC for 52 years; gaining heritage status would allow the Trust to pay homage to its roots as the Grove Mount playing fields. To learn more about the Penny Lane Development Trust and the incredible opportunities they offer their community, please read more here or follow them on Twitter at @PennylaneDT. All Event Photography images © Copyright Beatles Book Photo Library (BBPL). Used with permission.